Cast iron is iron which contains a small amount of carbon. It is hard and cannot be bent so it has to be made into parts by casting. So this type of iron castings is called “Cast Iron Parts”. Cast Iron is the common material type of casting. And mostly used production process for this kind of parts is sand casting process. Sand casting is one of the casting processes where the molten metal is poured into a mold made of sand. There are various types of sand casting like resin sand casting, precated sand casting and green sand casting . Sand casting is always accepted to produce cast grey iron or ductile iron parts. Because of the cost effectiveness of the process and the east availability of raw materials. 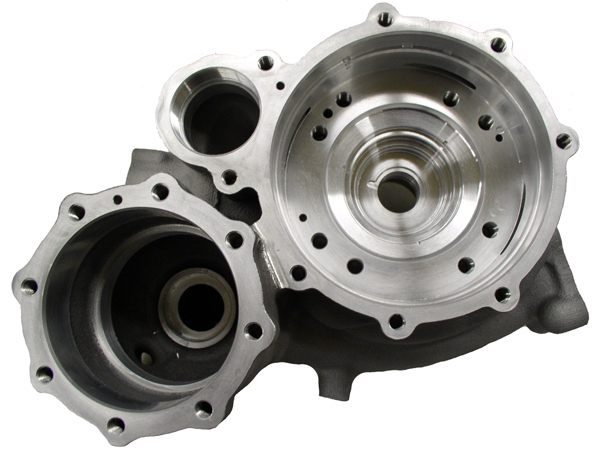 But comparing with investment casting, sand castings can also not hold as tight of tolerances as Investment Castings, and will likely need more machining than an Investment Casting. Also the surface is much worse. Why Investment Casting for Cast Iron Parts? Lost foam casting is one of investment casting processes for grey iron parts production. China Lost foam investment casting technology fully combined all the advantages of full mould casting and V casting technology. This is widely applied in making small, middle-size big castings for cast iron parts. Lost foam investment casting using dry sand to fix shapes and copying components. Physical dimension of the lost foam casting is accurate. There’re no flashes, burrs, chills or other defects. The cast surface is smooth, and surface finish is close to water glass investment casting. Inner structure of the lost foam investment castings is stable, without any sand holes, pours, shrinkage defects. This technology takes full advantage of environmental protection, with less investment and no pollution during production process. Lost foam casting is a kind of new investment casting technology with little machining allowance, but with high accuracy. This does not require for opening mould, no parting lines and no sand cores. Thus, products are without flashes, burrs and drafts problems. This also avoids the dimensional defects caused by displacing when assembling the patterns. The surface roughness is between Ra6.3 and Ra12.5 and casting tolerance can be controlled between CT7 – CT9. This will save lots of machining costs. Compared to traditional sand casting technology, this will save about 40 %– 50% machining works. Same as other casting technologies, there’re advantages and disadvantages of lost foam casting technology. Not all cast iron parts are suitable to be casted in lost foam investment casting process. For larger cast iron parts, we could only use sand casting method. So if you are looking for cast iron parts in investment casting instead of original sand casting process, pls contact us. We will be the most reliable supplier to deliver cast iron parts in investment casting.